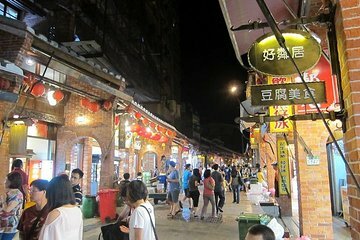 Step off the typical tourist trail, and explore two highlight districts in New Taipei City, on this seamless, small-group tour. Meet your guide directly at your Taipei hotel, and set off in the morning. You’ll head first to Shenkeng District: a former mining town that’s famed for its traditional tofu restaurants. Explore, and try any treats that catch your eye, from fried tofu to tofu ice cream (own expense). Then, transfer to Pingxi District. Explore its historical architecture, and then light and release a sky lantern.